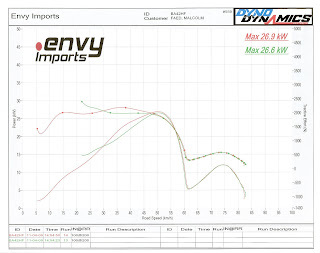 I took the Electro-Lux to a local Dyno Day today at Envy Imports. The revheds enjoyed seeing something different. I think I get the record for the lowest power and first ever EV on the Dyno. 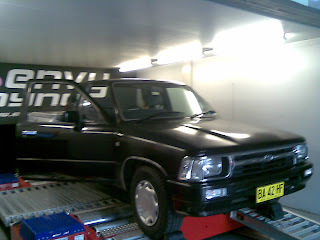 My diff ratio is 5.125:1 and my wheel radius is about .323m. ***The dyno plot can be for all intents ignored unfortunately (see later post). I will go and see them and see if they can do plots at multiple single speeds.